Just wanted to say thanks for inspiring me to get my $95 annual credit card fee waived tonight. I remembered reading one of your previous entries about asking your bank (or credit card company) nicely for these types of things. I just got an AMEX and I asked if they’d waive my fee the first year…I think for $95, the 1 minute I spent on hold was worth it. Of course, most people shouldn’t even pay an annual fee on their credit card. But if you spend enough to justify it, you can often get it waived by using the same principles I use when negotiating my bank: See Part 1 and Part 2. Leave me a comment and let me know how it goes for you. It doesn’t hurt to ask. I asked and got my interest rate lowered. Hey Ramit, my card doesn’t have any annual fees; however, my interest rate is relatively high I think. I saw Laura’s comment about getting her interest lowered, so I’m actually going to give Chase a call today and see if I can get my interest lowered as well. does this work even with high annual fee credit card (like some AmExs with $450) as long as you pay balance in full by due date? I was really shocked to discover that americans pay an annual fee towards their credit card. I live in Israel, there is an annual fee, but the majority of the population doesn’t even pay it. Take AMEX card for example, people who order this card get it 3 years free of annual fees, similar deals can be made using VISA cards as well. Even if you do pay an annual sum, it never reached 95$…. not even on gold credit cards. I live in Israel too, you can’t compare Israeli cards with USA cards with a fee, only premium cards have fees and they usually give you 2-5% back as cash or miles, try that with isreali cards, isreali cards will require between 250-750 nis for one el-al point that is worth apprx 2.5 nis, so its between a third of a percent to a percent in rewards, you typically don’t get rewards for your first 250 nis, you also don’t get rewards for the amount between first tier and second for example if you get one point for every 250 nis now you spent 749 nis you will only get one point, first 250 no rewards and for the amount between 500 and 749 you won’t get a point either because its less than 250 nis, while my american card gives me 2% back, the annual fee gets paid off many times by the benefits. I’ve found whenever dealing with financial companies that they’re usually willing to remove any fees or what-not that you’ve incurred. It only takes a phone call. Thanks for pointing this out Ramit! Even with a few very old skeletons in my credit closet, I have been able to eliminate most fees and reduce interest rates through negotiation and paying balances in full with rare exceptions for the past several years. I tried it. AMEX would not wave my $100 annual fee. Usually it only takes a call. It also helps to be nice, to a point. These CSRs deal with angry people calling all day, sometimes it’s refreshing for them to hear someone more pleasant, which in turn makes them more willing to help. If you pay an annual fee, it’s time to get a new credit card. But really, none of us should be using credit cards at all. We should be living within our means, saving, investing, and building some kind of emergency fund so when our cars break down (or whatever), we don’t need to charge it. Fees are the enemy of those of us seeking financial freedom! Not all credit cards have annual fees. And I totally disagree with your assertion that we shouldn’t be using credit cards at all. If the card holder pays off their balance in full each month, then using a CC is smarter than simply using debit. For example, if you use a debit card to pay $100 for a month of gas, then you get 0 cashback. If you use your Discover IT card during its first quarter (where there is 5% cashback on gas and transportation-related expenses), then spending $100 on gas will get you $5 back. Assuming you pay off your balance at the end of the month, then CC’s are better than debit cards, hands down. Not to mention, some credit cards like the Discover IT or Visa Signature cards offer 1-year extended warranty (added onto the manufacturer’s warranty) for your purchases and other perks that debit cards do not offer. Queercents » Blog Archive » Queercents Weekly Roundup: Vote Louder! I find it’s a trade off – either you have no fee but high interest rates, or a low rate with some kind of fee. Of course in a perfect world none of us would carry any balance, so the first choice would be the way to go. Still, if you’re looking for both it can be tricky. I do have one card with Capital One that has a low rate and no fee, but it’s the exception. @Thisson: http://www.iwillteachyoutoberich.com/blog/credit-card-perks-you-didnt-know-about-part-2 Check out that and part one on why credit cards aren’t all so bad. On cc interest rates and annual fees, it’s not impossible to have a low interest credit card with no annual fee. I’m only 21, but my CapitalOne card has no fee and a 5.9% APR and my Discover w/ rewards has no fee and 10.9% which isn’t LOW, but it’s still lower than most of my parents cards. That and I don’t carry a balance on it. At Bank of America, the only way to get an annual fee waived it to close your account. The annual fee is assessed to the card because of the benefits you get with that card. You get more benefits with a card with an annual fee then one that has no fee. So if you don’t want the annual fee don’t have that particular card. There are a lot of cards out there that have no fees. Okay, So I’m one with not the best of credit so most credit card companies apply at least 170 dollars for annual fee’s. I would love to get this waived. ” I see an annual fee on my cc I want it to be removed”. why do you need to be assured pretty girl in pink? what is the worst that could possibly happen? they say no? make up a talk about how moneys a little tight and you think 170 bucks is a little High, hell i just opened a new credit card and the fee was only 39.99. I went ahead and did as you said and absolutley nothing! So much for these banks want to keep you as a customer. Infact First Premier Bank Rep said if you’d like we can close you account so you don’t have to pay the fee’s. Ya, Ummmm Ramit these days banks don’t care for their customers like they use to back in the day… Especially the banks I have to bank with “bad credit” they know I need them to improve my credit at the end of the day. I am a credit card user the Banks hate…in fact they have a name for people like me…but can’t remember it unfortunately, lol. Just received an offer from American Express for one of their credit cards and it states there is NO annual fee, there are rewards attached and 55 day free of interest. Also if I spend $550 before the end of February they will also send me a lovely wheeled travel bag. I have taken up the offer but just noticed on line that this card does have an annual fee according to Website. Rang and queried why my letter states NO ANNUAL FEE and yet website says there is one. Response was that I had received a special offer. Most interesting; was not aware they did this. I thought everyone was treated the same; apparently not! The normal annual fee for this particular card…Choices…I think it is called…is $49 a year. The operator said there will be no fee for the life of the card. I should have asked what exactlyt that meant. Maybe it just means until its expiry date and when the new card is issued I will be asked to pay the $49 fee. That is when I will ditch it, lol. I tried to have my Amex fee waived. Tried all of the method here promoting that I have been a loyal customer for 10 years and always paid on time. I was given the option of paying for the fee with points, and or moving to a lower fee card, but they were not going to waive any fee. Well they have just lost a customer and I will move my spending elsewhere. I just called Amex & they refused to waive $45/year fee. I asked for supervisor, same thing. They offered other cards with zero fee, reminded me that I agreed to pay fee when I signed up for card, & really didn’t care at all that I was planning on taking business elsewhere. I just called American Express about my Delta Sky Miles credit card annual fee of $95, but the best they would do for me is to give a $25 loyalty credit. I have had the card for almost three years. When I first rejected it, they were more than willing to close the account. I do not carry a balance, am in good standing and do use it fairly regularly. Since I was not willing to give up my the free baggage and priority boarding on Delta in addition to the miles, you could say they called my bluff. I guess $25 is better than nothing! I have 3 Capital One cards, one secured, one rewards, and another card – all with annual fees and high APRs. After graduating from law school and having massive debt, I could only qualify for these poor cards. 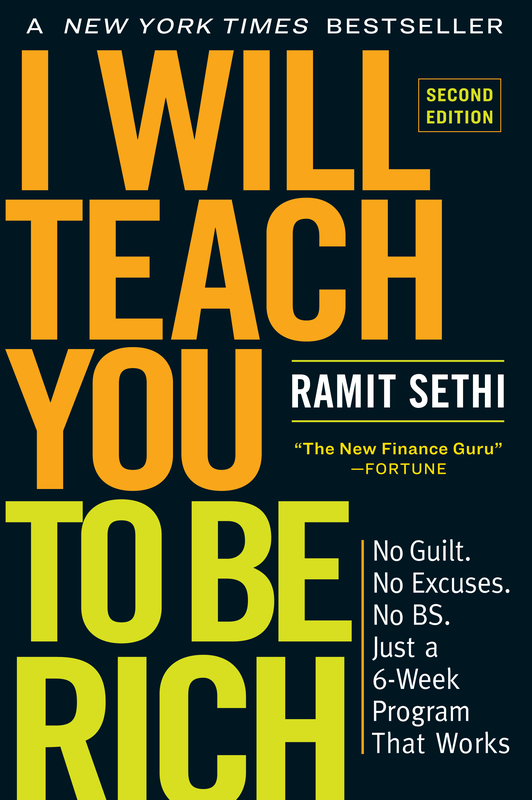 I just bought an e-version of Ramit’s book and am studying this website religiously. So after reading this post, I decided to call Capital One. The automated system routed me to a representative and I went through the whole script. He rejected me on all points, was not willing to do anything except refer me to a colleague who could possibly offer me a better card. I was a bit frustrated at this point, but decided to continue the call. After speaking with the different representative she offered me a card with no annual fee. I then told her that I have annual fees on all my current cards. She then routed me to a different colleague and after about 5 minutes of talking to him, then waiting on hold for about 5-10 minutes, he WAIVED ALL MY ANNUAL FEES and credited my annual fees from January 2015 until now! Obviously, this was huge and instantly saved me $285 a year ($95 x 3 = $285). Thanks Ramit! I know this is an old post, but I tried it today, and the lady said no and asked me if I wanted to close my account. I guess we’re not as valuable as we’d like to think we are. Teams, novice et/ou habitué parfois des jeux para stratégie. Auch die Sendungen im deutschen TV (Nachrichten und Reportagen), da bleibt die Kiste aus. Ramit, you’re the man! You have saved me hundreds of dollars. I have used your scripts and techniques on phone companies, airlines, and credit cards. Last month I negotiated a balance transfer fee down and saved $90. I used other balance transfer offers available to me as leverage and asked “I was wondering how you might be able to incentivize your offer to encourage me to choose it.” The first lady I spoke with laughed at me and said “No.” (This is Discover Card; their much-lauded customer service might be overstated.) Following your lead, I politely asked to speak to her supervisor, and the supervisor offered me a reduction. It’s difficult to understand why a business would have the first person you speak with say “no” and in all likelihood lead the average caller to hang-up, while it’s the second person you speak to that’s willing to retain your business. Thank you for using your gifts to help out people like me. creditreport.imess.net try this site. I use it to monitor my crdiet and also cleaned off some bad items from my crdiet report. You can apply for free initial plan and get your scores and reports for free. Wie auch immer IHR Weg, IHRE Heilbehandlungen aussehen mögen, wir begleiten Sie ganz individuell zu Ihrem Ort der Kraft und Gesundheit. wenn es um Gesundheit geht! Ungesättigte Fettsäuren sind wichtig für unsere Gesundheit und für unseren Cholesterinspiegel. man Gerüche im Schlaf wesentlich schlechter war. solltest Dich jetzt ausgewogen und gesund ernähren. Wir zeigen, dass gesunde Ernährung im Job abwechslungsreich und ganz schön lecker sein kann.